Composition: Center Frame Portrait was the charge for this week. You can isolate your subject by centering them in the photo. But the added caveat was to create a portrait that exhibits loneliness. 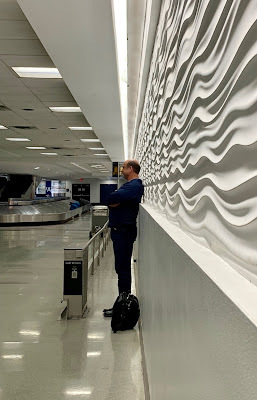 I recently flew into the Charlotte airport, and the mood of this photo seemed right to me.